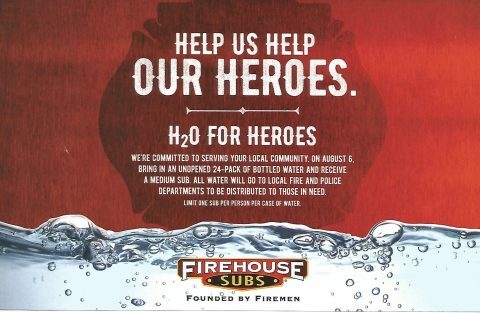 Firehouse Subs is giving back to the community and simultaneously satisfying sub lovers’ cravings with their new H20 for Heroes deal. On Saturday August 5, if you bring an unopened 24-pack of bottled water to any of their locations in the US and Canada, you will get a medium sub in return—limit one sub per person per case of water. The water will be donated to local fire and police departments to be distributed to those in need, the hoagie chain said on Facebook.